Experience full-flavored espresso right in the Washington DC office with a Sego Espresso Machine that delivers crema-topped espresso as well as espresso-based specialty drinks. The Sego Espresso Machine incorporates the latest brewing system to ensure reliable espresso day after day. The espresso beverages of the Sego Espresso Machine are fully customizable, making a variety of other hot drinks. The Sego Espresso Machine is part of an office coffee service solution that retains and inspires local employees. 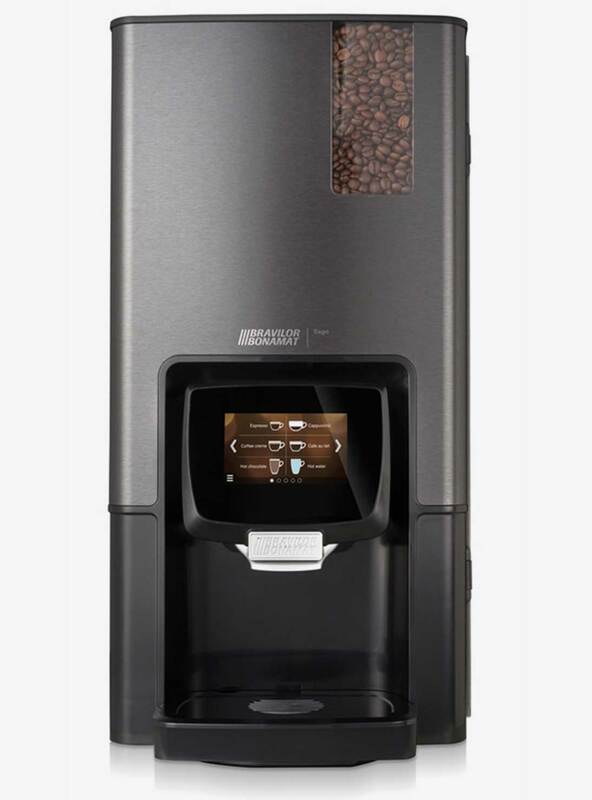 Fully automatic, no coffeeshop experience is necessary to make a range of hot drinks from the Sego Espresso Machine, which includes three canisters for ingredients such as coffee beans, cocoa, and powdered milk. The Sego Espresso Machine is specially built to eliminate clogging and lime build-up. The patented Bravilor Bonamat ingredient mixing unit inside the machine has a smooth coating to optimize ingredient flow, increase in-cup quality and prevent clogs. The unique hot water system helps the brewer be maintenance-friendly by minimizing lime formation. Programmable for custom grind, pre-wetting, contact time, coffee/water ratio, etc. Quality instant ingredients and gourmet coffee beans combine to serve various drink options. Make a Coffee crema, Café au lait, Cappuccino, Latte Macchiato, Mochaccino, or Hot Chocolate with preset recipes or by creating your own. Plus there is always hot water for tea on-demand and full-flavored, delicious espresso. Time to shift your Washington DC office coffee service program into the big time with a Sego Espresso Machine from SunDun at 800-466-2731; sales@sundun.com.